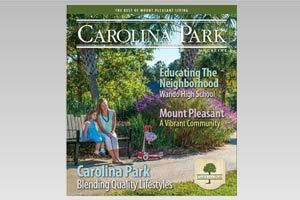 When people think of Mount Pleasant, they often think of raising families - and with good reason. After all, we have terrific schools, plenty of family-friendly activities and every opportunity to connect with the beauty of nature in the Lowcountry you could want. Yet, as Charleston and Mount Pleasant become more like bustling cities and less like sleepy towns, the demand for quality housing continues to grow, and the appearance of luxury apartment communities becomes more prevalent.